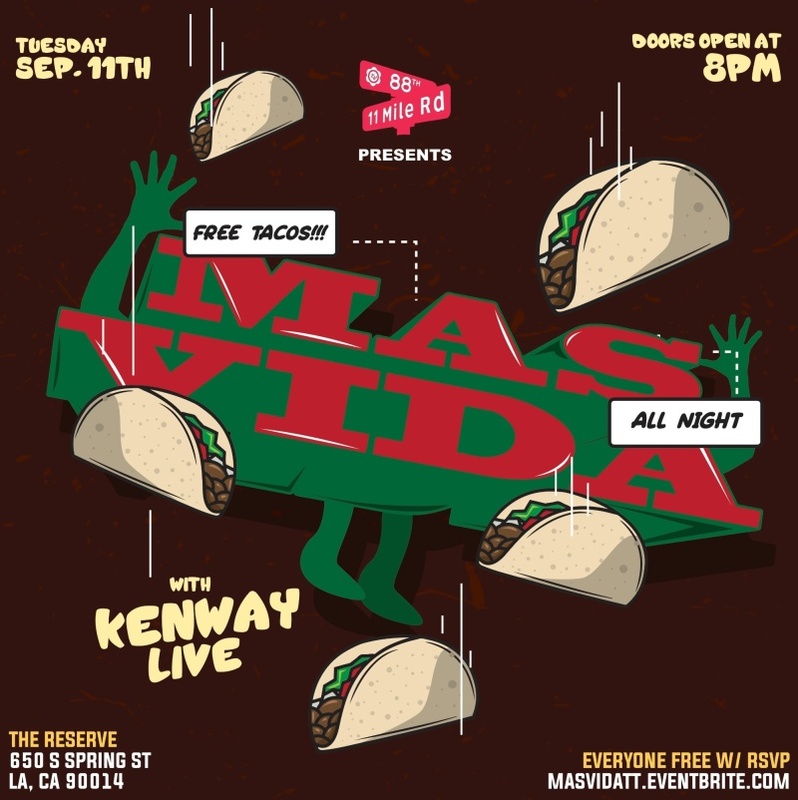 Join us for the official launch of Mas Vida! FREE TACOS ALL NIGHT WHILE SUPPLIES LAST! Music by Kenway & Friends!